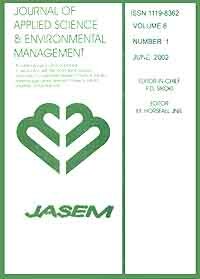 en Role Of Macrophytes In Improving Water Quality Of An Aquatic Eco-system. Macrophytes plays important role in balancing Lake Ecosystem. They have capacity to improve the water quality by absorbing nutrients, with their effective root system. At the same time death & decay of the macrophytes increases nutrient concentration, this leads to eutrophication. A rational setup between these two simultaneous activities is required to maintain the water quality of an aquatic ecosystem. The objective of the study is to evaluate the usefulness of different macrophytic species (Bio-filters) in reducing the nutrient content of the water i.e. to reduce the pollution level of water. The paper is the outcome of ex–situ experiments conducted on samples collected from Shahpura Lake, Bhopal. Two macrophyteic Species Eicchornia crassipes & Hydrilla verticillata were selected for ex-situ study. Both the plant species indicates that macrophytes are capable in improving water quality by reducing nutrient concentration.